In March the news came that Barry Hines had died. 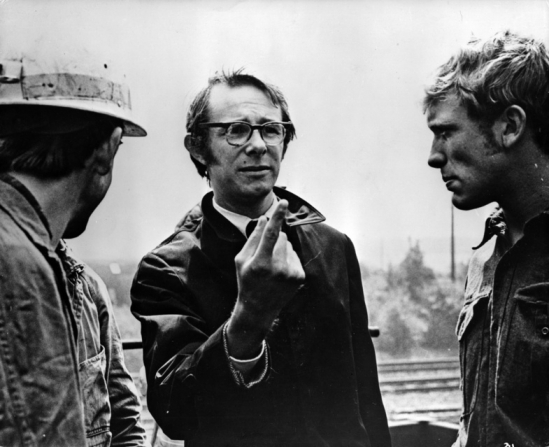 My mind flashed back to the time when I went with my mother to a cinema in Barnsley to see Kes, Ken Loach’s second feature film that was based on Hines’s short novel, A kestrel for a knave, published in 1968. It was late 1969 or early 1970. There was a lot of interest in the film in and around the town, and the cinema was full. 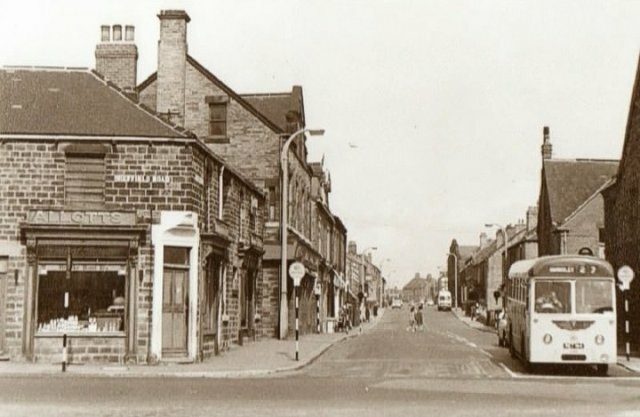 Barry Hines was a local lad – he came from Hoyland Common, a village a few miles south of Barnsley (we lived in Hoylandswaine, to the west). 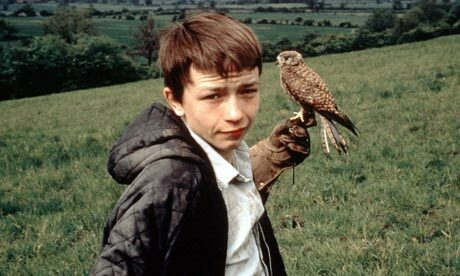 Key parts of the film had been shot locally, notably the scene in Monk Bretton Priory, in the ruins of which the central character, Billy Casper, first encounters his kestrel. The film left a deep impression on me. I still think it’s Loach’s finest achievement, though he’s made many great films since (his latest, I, Daniel Blake, has just appeared at Cannes). It was impossible not to be affected by the simple story. Billy is a runt of a lad. He comes from a broken and loveless home, he’s already been written off by his teachers as a secondary modern failure, and he’s picked on by his brother and schoolmates. But he has enough native wit and extra-legal guile to survive. And he has one special ability and all-absorbing interest – taming and flying a kestrel. It’s the passionate relationship with Kes that gives Billy meaning and intensity to his life that nothing and no one else can provide. The climax of the film comes when the adored kestrel is killed by Jud, Billy’s elder brother, in an act of petty revenge for Billy’s failure to place his bet on a winning horse. But what was special about the film wasn’t just the story. It was that it was rooted in a kind of community that normal movies usually ignored, a northern working class village, and it dealt with that community in a new way. 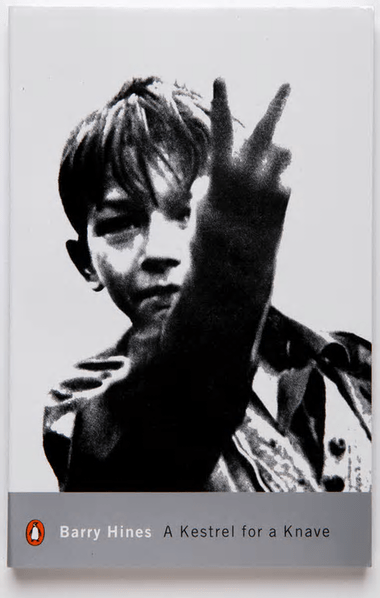 It didn’t sentimentalise, either by romanticising northern grit or by laying on the misery trowel (there’s a hilarious scene in which the PE teacher, played by Brian Glover (a Barnsley wrestler, in his first acting role), presides, dictatorially but absurdly, over a school football game). 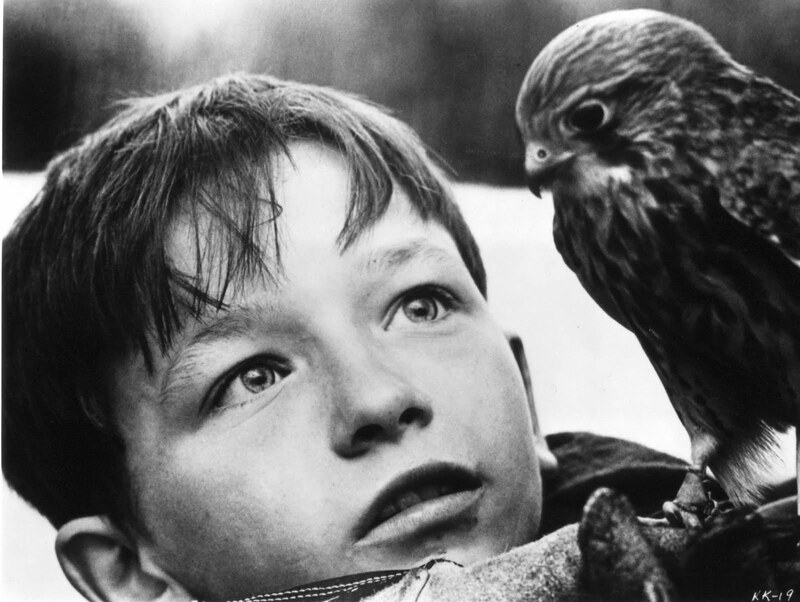 The other exceptional aspect of Kes was the acting. Loach had a magical knack of finding young actors who were inexperienced but perfect for the demanding roles they had to play, and the performance of David Bradley, a Barnsley boy with almost no acting record, as the downtrodden but resilient and even triumphant Billy, was admired by everyone. I was in a bookshop a couple of weeks ago – it was the excellent Pen’rallt Gallery Bookshop in Machynlleth – and saw a Penguin reprint of A kestrel for a knave. And I realised that for some reason I’d never ever read the novel. I bought it and read it straight away (it’s a short book, under 200 pages). From the first pages, when Billy wakes up in his poor and cheerless home (‘There were no curtains up’) and prepares to do his early morning paper round, you’re immersed in his world, following him through his day to its sad conclusion (‘When he arrived home there was no one in. He buried the hawk in the field just behind the shed; went in, and went to bed’). The Employment Officer printed MANUAL on the form, then raised his pen hand as though he was going to print it again on the top of his head. He scratched it instead, and the nails left white scratches on the skin. He smoothed his fingers carefully across the plot of hair, then looked up. Billy was staring straight past him out of the window. Simplicity doesn’t rule out suspense and tension, either. Your reading pace accelerates with Billy’s increasingly frantic attempts to hide from his angry brother when Jud appears in his school, and it slows with sympathy in the scene at the end of the book, as Billy breaks into ‘The Palace’, a derelict cinema where his father had taken him to see a film shortly before abandoning the family. Another regret of the older Hines is that some of the characters are shown too unsympathetically. Billy’s mother gives him little or no affection, and we’re not reminded of the harshness of Jud’s work in the coal mine that might explain, if not excuse, his fury at missing out on his racing winnings. But it’s against this background, Billy’s almost exclusively hostile environment, that we can admire the miraculous things he’s able to create from his own inner resources. From the viewpoint of 2016 A kestrel for a knave may seem to describe a remote and long-gone world – of sink schools reserved for children already marked out as failures, of manual industries unable to pay their workers adequately, of social relations where indifference, cruelty and violence were taken as norms. Novelists like Barry Hines, raised in working class communities and eager to write about them, seem thin on the ground today. In retrospect Hines belongs comfortably to a tradition that began with DH Lawrence and included Stan Barstow, David Storey and Alan Sillitoe – and is now, it seems, moribund, at least in England. Scotland still has its James Kelman and Alan Warner, and Wales has Niall Griffiths and Rachel Trezise, but aside from David Peace few English names come to mind. Yet, in the age of reinvigorated political reaction, declining social mobility and worsening incomes, the need would still seem to be there. Where are the writers today who will tackle the complexities of our own, different but ever more unequal society? 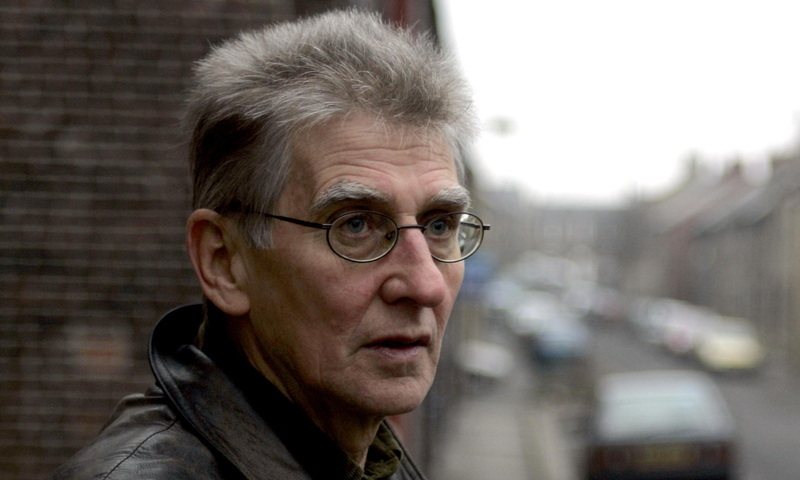 Barry Hines, one of the best of his kind, will be missed. Hi Andrew: just read your piece on Barry Hines. I saw the film when I was about 12 at the little cinema in Conway – don’t know if it’s still there. I cried. What got me thinking about the film was finding a baby kestrel in my yard yesterday. I emigrated to Canada in 1991, and live 60 miles north of Winnipeg, Manitoba- ‘out in the boonies’ as they say here. I was having my first cup of tea siting out in the shade enjoying the morning when my 3 dogs started kicking up a racket. Closer investigation revealed a young falcon, whose ferocity was deterring their homicidal (avicidal?) intentions. I put them in the house and checked out the young bird, after throwing a towel over him. He seemed fine, so I put him in a pine tree, out of the reach of the dogs. An animal rescue organization told me over the phone that this was normal in the falcon world- parents get their offspring used to being independent by leaving them on the ground for a couple of weeks, with intermittent supervision. I went out later with a mouse from a mouse trap in case he was hungry but the bird had, quite literally, flown! He must have glided across the ditch and the road to the field opposite, where I can hear loud scolding from one of his parents. He’ll be safer there. Such is the bucolic idyll out here in rural Manitoba! I enjoyed your blog and look forward to reading more- I notice that you are a rambler, which was my passion back in Wales. I still get to do that here, but, counter intuitively, there aren’t that many trails out in the wilderness. I get to go kayaking instead- rivers are the highways out here! That’s kind of you to write, Kim, and with such an interesting story. I’ve only once been to Canada (Quebec), but ever since reading Jonathan Raban’s book ‘Passage to Juneau’ I’ve had an intermittent desire to sail north from Vancouver along the coast.